Experience the Real Adventure in outstanding grade IV Kayaking Rivers in the world. The Marsyangdi River is one of the most outstanding grade IV Kayaking Rivers in the world. Continuous, exhilarating white-water with magnificent mountain backdrops, Marsyandi drains through the northern slope of the Annapurna Himal. It flows East through an arid valley around Manang and then swings south to join the Trisuli River at Mugling. Marsyangdi means Raging River in local dialect. 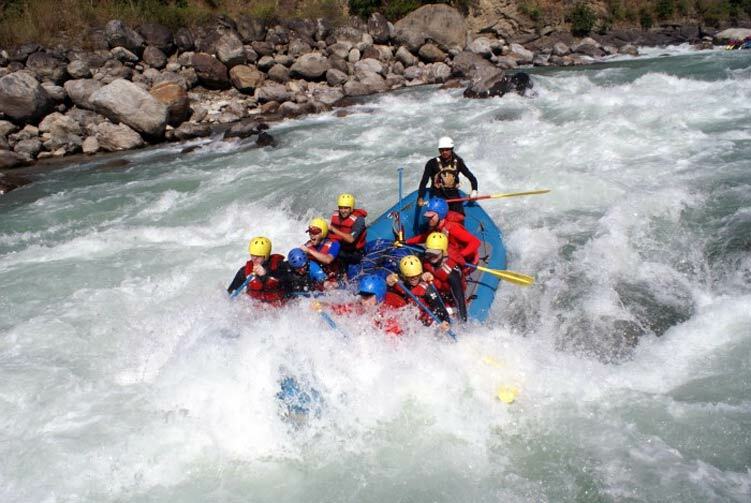 It was opened to commercial rafting in 1996 and demands 100% commitment from both crew and guide. It is totally different from the big volume rivers like Sun Kosi and Karnali, the rapids are technical and require a very different approach. Need 100% power and a good line, fast reactions from crew to get through this pinball machine and quickly forges raft crews of complete strangers into true teams. Day 02: Half day Cultural tours around UNESCO world heritage sites/ Tour prepration, Overnight in Hotel. Day 05: Rafting from Tarkughat to Bimalnagar and drive back to Kathmandu, Overnight in Hotel. Day 06: Free/Rest day in Kathmandu, Overnight in Hotel. Tourist Standard Hotel Accommodation at Kathmandu B/B Basis as listed in the Itinerary. Full board Open and Choice meal during the rafting period. Private transportation to and from the starting and ending points of the tour as applicable. Guided World Heritage Sites Tour in Kathmandu Valley with entrance permit as listed in itinerary. 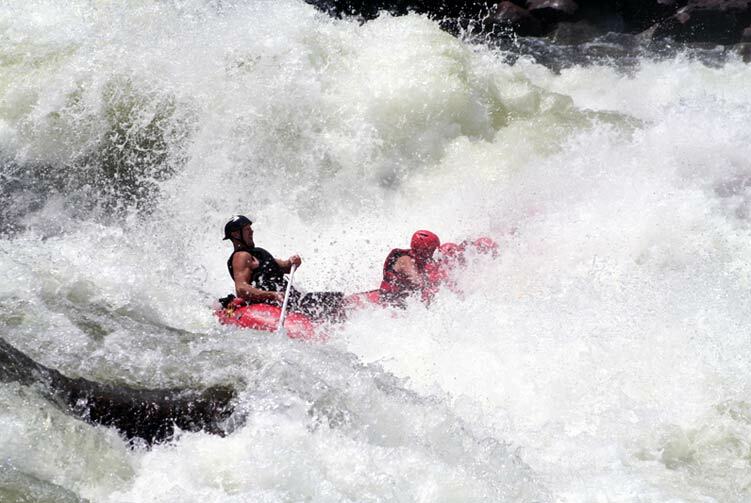 Professional & Highly Experience Government Licensed Rafting Guide. Accmmodiation in Camp or Lode. All expenses of the Guides includes Food, Accommodation, Salary, Insurance, and Equipment during your travel periods. All rafting and camping equipment's and Gear. Welcome and Farewell dinner with cultural program as listed in the Itinerary. 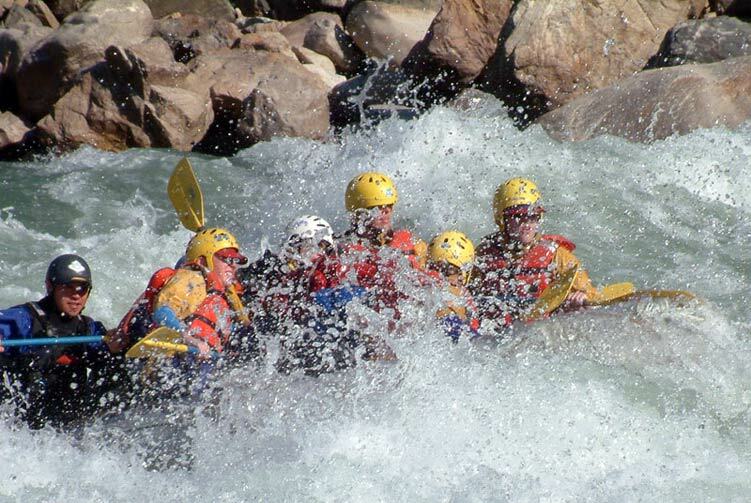 The above rafting Itinerary is a guideline and standard pattern. This tour can be modified according to your time and requirements. 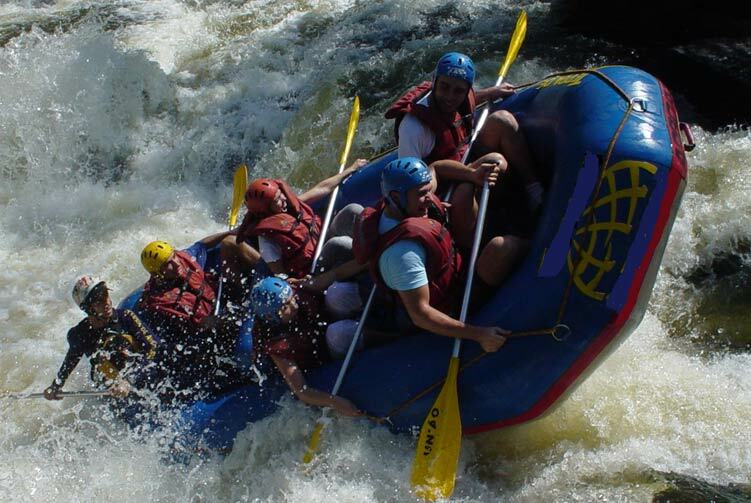 The rafting Itinerary may be changed after understanding by both agency and client. Additional activities could be added or reduce as per client's request before confirming the trip. 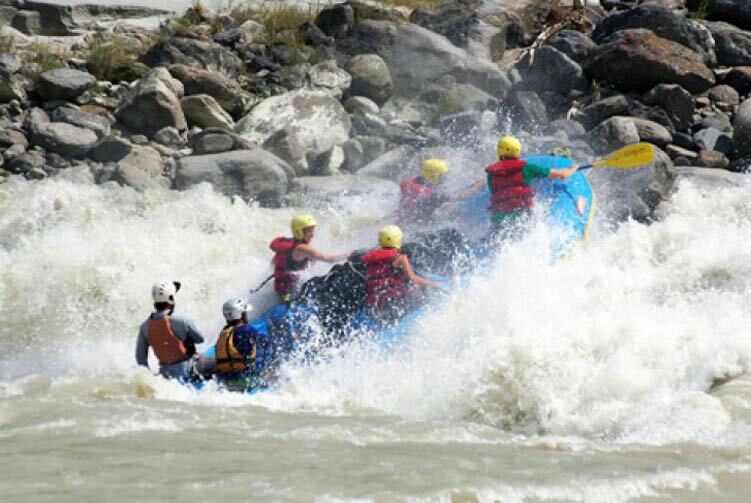 For these reasons the same rafting tours can be HIGHER and LOWER Price. 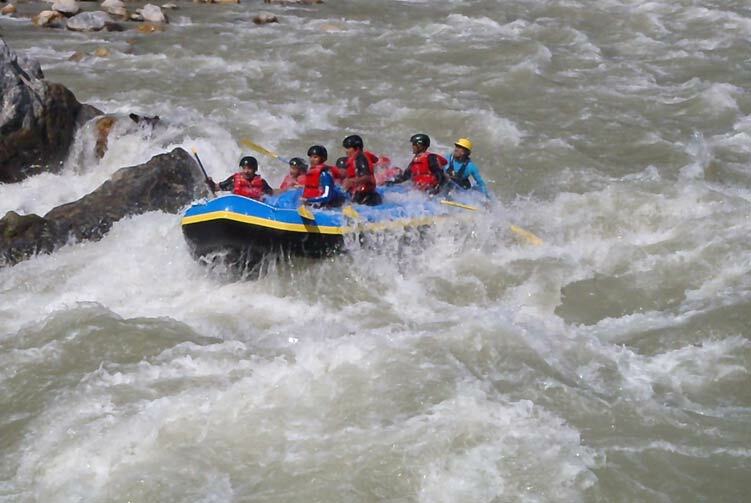 We offer you the best price guaranteed for Marshyanggdi River Rafting.